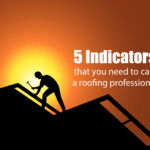 People always ask Absolute Construction “How do I know when I need to call a roofer?” So, we’ve come up with a list of the top 10 reasons why to call a roofer. 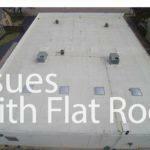 Some of the issues don’t always mean needing a new roof. Sometimes it can be as simple as making a patch or putting in new flashing, but you’ll never know unless you call a professional. Shingles Curling and Buckling – Curling Or buckling shingles. Shingles that are curled or buckling is one of the first signs that a new roof is needing to be installed. Typically, curling shingles occur due to aging, moisture, and excessive heat. If your shingles look like something is underneath them or pushing them upward, you need to call Absolute Construction right away. You also may have curling shingles, where the center of the shingle looks concave and the edges turn up. Both issues are noticeable from ground level and require the attention of a qualified contractor. Roof Valleys – Roof valleys are the V shaped metal channels that run up and down the ‘folds’ of a roof. Valley replacements are fairly common – especially on tiled roofs, because the old valleys used to be galvanized and they start corroding with time especially in the fall when they trap leaves. Missing Shingles – With all the high winds that are coming with spring, there is a pretty good chance you could be missing some shingles. Once the underside of the shingles is exposed to the wind, the lifting and tearing force can easily defeat the roofing nails that hold the shingle in place. This doesn’t necessarily mean you need a new roof. A roof patch will probably suffice. Chimney Flashing – A leaky chimney can be a real headache and cause all sorts of problems which require costly repair. Usually the source of the trouble is faulty flashing. 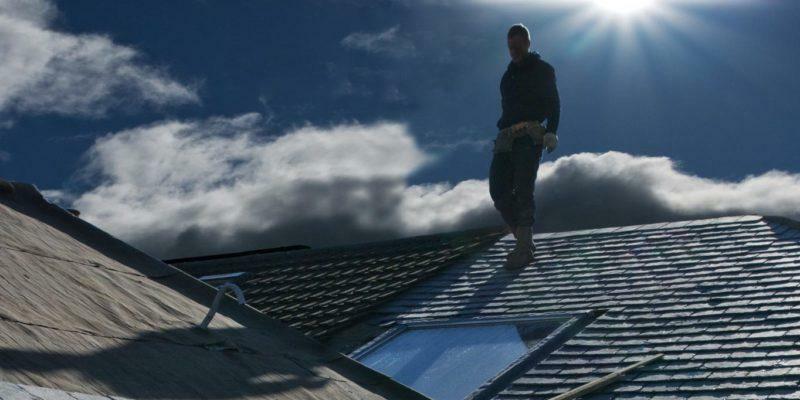 The flashing is sheet metal installed for the purpose of ensuring that the connection between the chimney and roof is watertight, but the effectiveness of flashing eventually expires. This is something we can usually get you insurance to pay for if we are already replacing your roof. 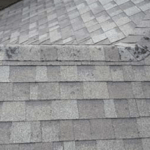 Shingle Granules in The Gutters – Normal Mineral Granule Loss on a Asphalt Shingle Roof that is 2 or more years old is totally normal and its part of the wear and tear over time. But granule loss on a new asphalt roof is a problem. Loose mineral granules wash down the roof and will appear in gutters and at the ends of downspouts. Daylight through the roof boards – If your home has an attic, be sure to check whether you can see any daylight streaming through the roof boards. You should also check to see whether there is any moisture present in the insulation. Knowing when to call in an Absolute Construction contractor can help ensure your home is completely protected from possible leaks. Cracked Shingles – Asphalt shingle cracks due to thermal splitting & defective product. At Absolute Construction, we work with the best Asphalt shingles on the market. The Roof Just Looks Old & Worn – you roof is looking tired give Absolute Construction a call. It may be time to put on a new roof before cracked and missing shingles start happening. Bald Spots Where Granules Are Missing – Shingles have a sealant on their underside that helps hold the shingles in place. 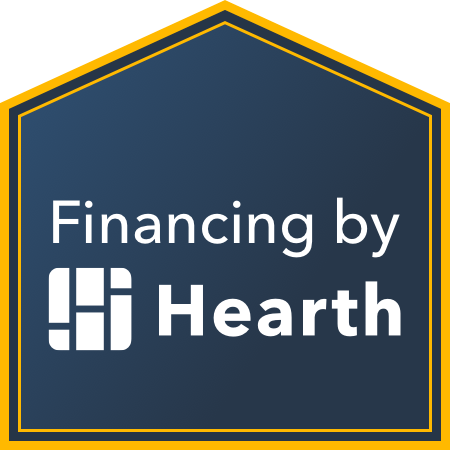 If the shingles become old and bald, the sealant can fail and the shingles, even when nailed down properly, the shingles can come loose in severe winds. This can also lead to leaks which will cause water damage later. Welcome to our new blog. Stay tuned for updates! Absolute Construction is the premier storm restoration roofer in Texas. We have extensive experience working with insurance companies to ensure our customers get the maximum benefits they are entitled to.